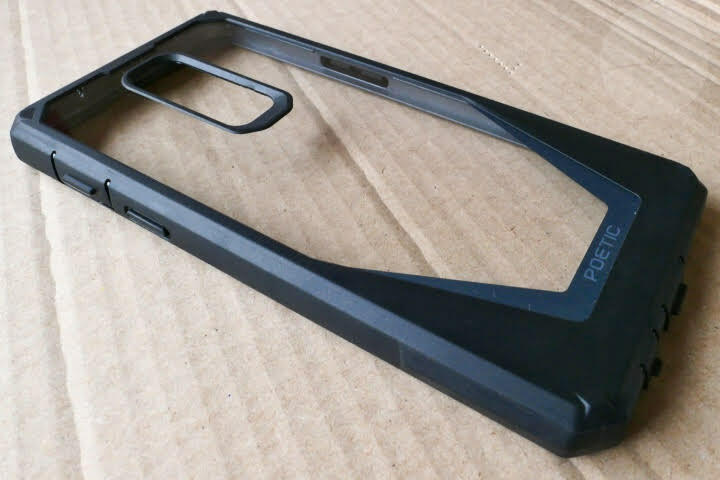 OnePlus included a nice selection of cases to accompany the release of the OnePlus 6, but compared to their phone I wouldn’t say their cases represent quite the same bang per buck. 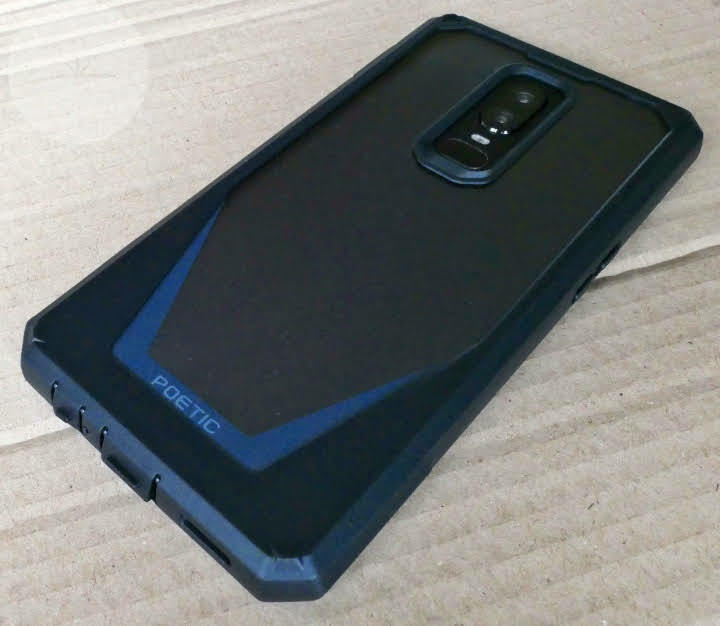 Third party case manufacturer Poetic have just launched a number of new cases for the OnePlus 6 and today we take a look at the Guardian. The Guardian is a dual layer case and comes with it’s own tempered glass screen protector. First you fit the 6 into a sturdy polycarbonate bracket (available in grey, blue, green or pink). 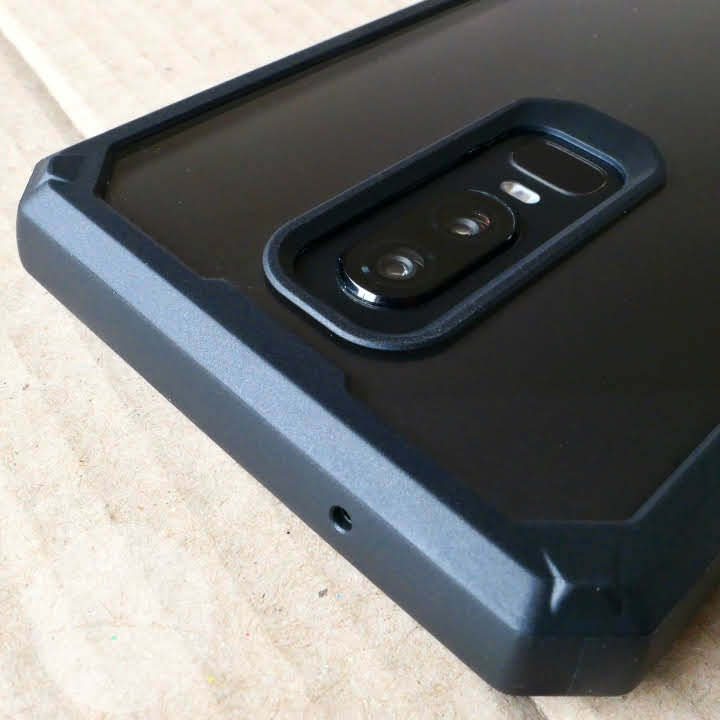 This in turn suspends the phone inside the outer case which also has a transparent polycarbonate back and thick black TPU edges. 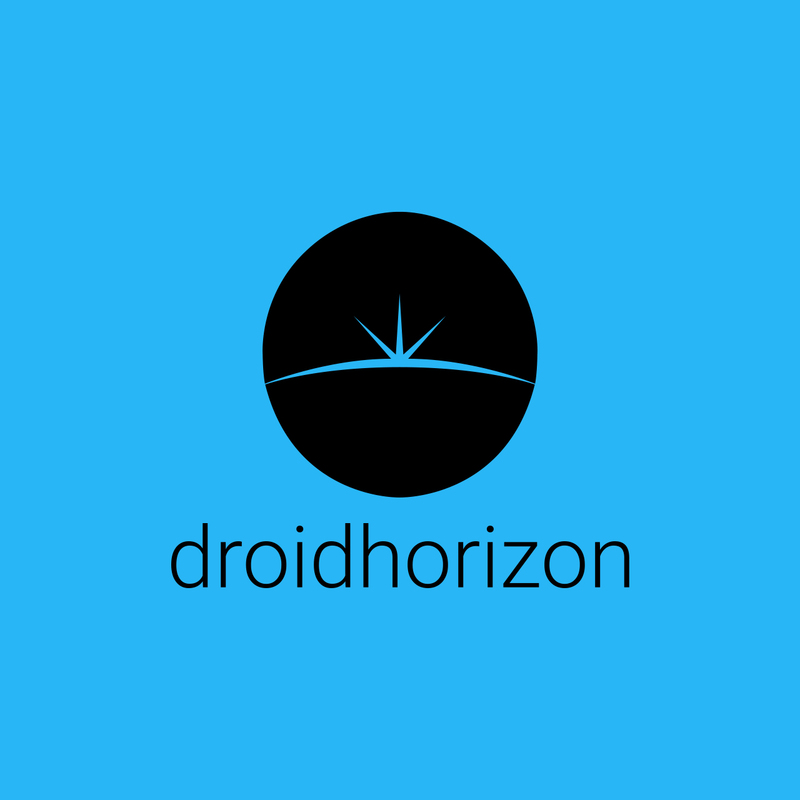 The glass back of the phone remains visible with a subtle Poetic logo that matches the bracket color. Having this case fitted gives the phone a very different feel in the hand. The TPU edges are grippy compared to the glass back making it easier to hold onto. You’ll also be aware of the extra size and weight it adds to the OnePlus. Considering the protection offered I had no problem with this additional bulk, but if you prefer things thin and light then this won’t be the case for you. Poetic state that the Guardian has passed MIL-STD-810G drop testing which basically means that during testing the phone survived 26 x 4 ft drops onto plywood covered cement. I’ve no trouble believing this, as overall the case gives me the impression of providing excellent protection. The thick edges stop the phone coming into contact with flat surfaces, and the ports are protected by well aligned pull-back covers to keep them clean. The side buttons are also covered which makes them a little stiffer to press but still perfectly usable. 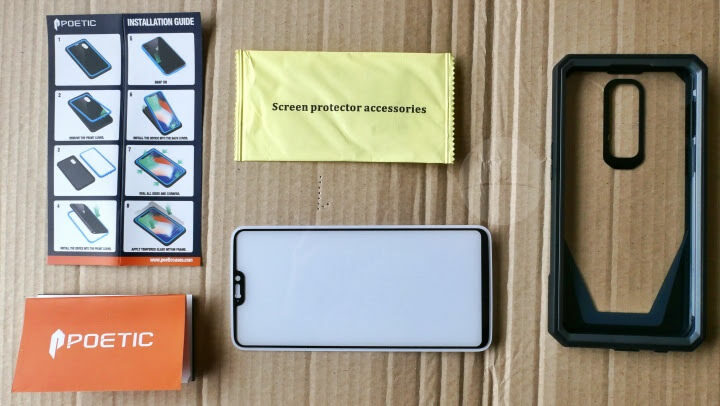 The included tempered glass screen protector was easy to fit and also seems excellent – screen touches remain just as responsive and it prevents any potential scratches from other items in your pocket or bag. My OnePlus 6 certainly feels a lot safer inside the Guardian and it gives me the confidence to handle the phone with less care than I would normally. I liked the build quality and overall look – unlike a lot of cases, it even lets you get a glimpse at the back of the phone. 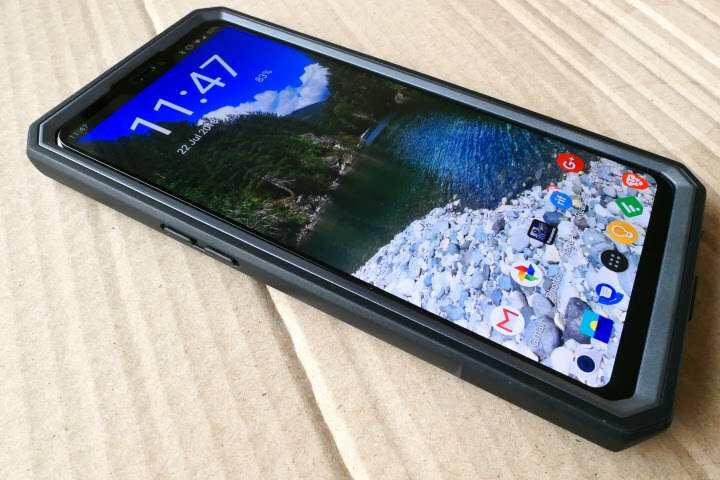 At $16.95 it represents excellent value, including a tempered glass screen protector similar to the one OnePlus sell for $19.95 while arguably providing better protection than even their $24.95 bumper case.